Heat oven to 350°F. Grease cookie sheet. Place dough, seam side down, on cookie sheet. Cut slit or slashes in dough as directed on can. In small bowl, mix melted butter, pepper flakes and garlic salt. Brush on top of dough. Bake 25 to 30 minutes or until deep golden brown, topping with cheese during last 5 minutes of baking. Cool 5 minutes before slicing. 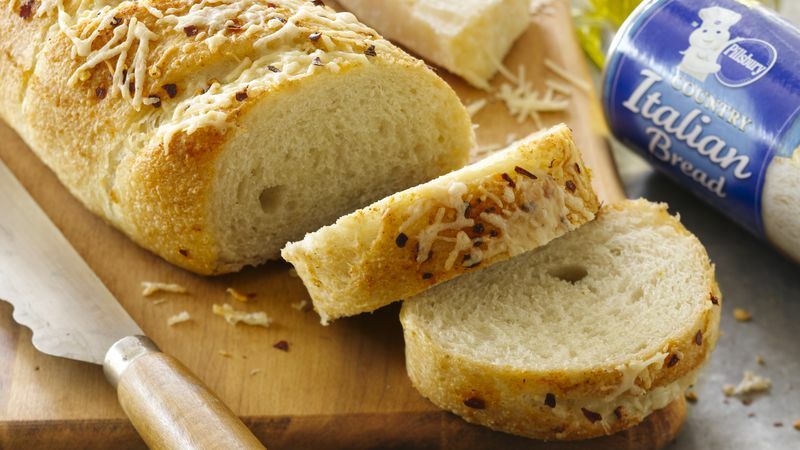 Serve slices of this bread with olive oil for dipping.